When was the last time you cleared out the garage? If you can’t remember, or it was a very long time ago, now’s the time to get out the cleaning gloves, grab some binbags and get started! It’s amazing how different you’ll feel after organising the garage. So, to help get you started, below you’ll discover some great tips you can follow. The first step to organising the garage, is to sort out which items you’re going to keep. A lot of garages end up being a storage facility, with a lot of items that aren’t actually needed anymore. So, to make the job easier, you’ll want to split the belongings into three different piles – one to keep, one to give away and one to throw away. Be ruthless when choosing what needs to be thrown away. If you haven’t used it in six months, you don’t plan on using it anytime soon and it holds no sentimental value, throw it away! Did you know there’s certain things which shouldn’t be stored in the garage? Paint is a great example. When stored in the garage, paint can become ruined by extreme temperatures. You’ll also want to store propane tanks and equipment out of the garage as any spark can cause them to ignite. Refrigerators are also often placed in the garage to save on space. However, did you know that it’s going to use a lot of electricity as the garage isn’t air conditioned? 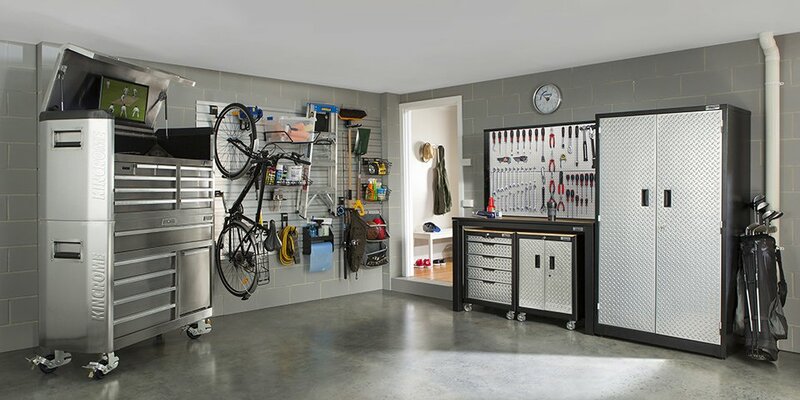 Knowing what shouldn’t be stored in the garage will help you to reduce the amount of organising you need to do. Once you’re left with everything that needs to remain in the garage, it’s time to work on how to store them properly. As a general rule, you should aim to keep the floor completely empty. This means storing everything on shelves and in cabinets. If you have a lot of tools, rather than keeping them on a shelf, it’s worth investing in a good quality toolbox from a company such as SGS. If you follow the advice and tips above, you’ll easily be able to make a good start at organising your garage. It won’t take as long as you think and you’ll be surprised just how much of a difference an organised garage makes to your life.